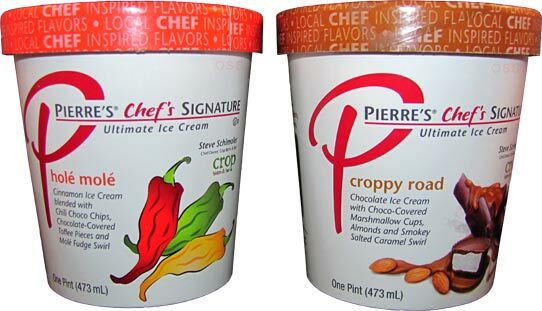 [By Nick, New for end of 2014] When Pierre's offered to send samples of their new collaboration flavors with Crop Bistro, Hole Mole and Croppy Road, I was all over them. I mean, Dubba hates spicy so we all know Hole Mole wouldn't be for him. Croppy Road has a smokey caramel swirl and after my experience with Tea-riffic, I feel obligated to review all smokey flavors from here on out... for science. 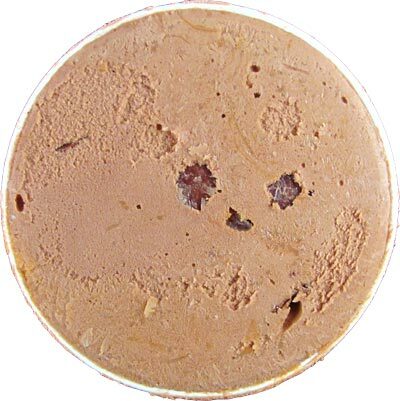 Let's go with Hole Mole first just because toffee is involved. I honestly can't recall ever reviewing or having an ice cream that included anything spicy in general. This one smells like an atomic fire ball (Insert a Pit Bull and/or anti-freeze reference here). The taste matches the smell because this is that candy in frozen form. It has a strong cinnamon flavor with a nice touch of heat on the end. It fluctuates in intensity but it's more of a pleasant burn than one that'll have you grabbing for milk... or ice cream... wait, it is ice cream... moving on. I actually like it a lot. I might be biased due to my liking of those candies but it's one of the best bases I've had in awhile. 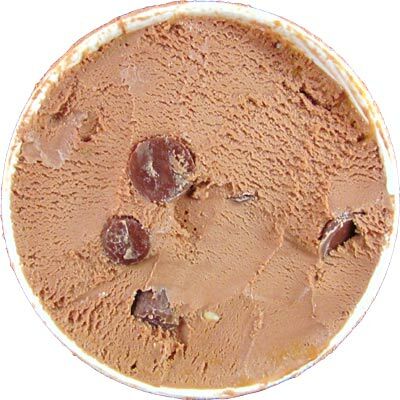 The mole swirl is prevalent throughout the ice cream. It actually acts like ice cream for the most part in consistency with more liquid puddles here and there. Honestly, it tastes like a good dark chocolate sauce with a hint of cinnamon to me. There's nothing surprising about it but once again, it's really good and works with the base perfectly. While I like toffee, they're easily forgotten here. I mean you can taste them and their caramelized nuttiness but they're more in the background. 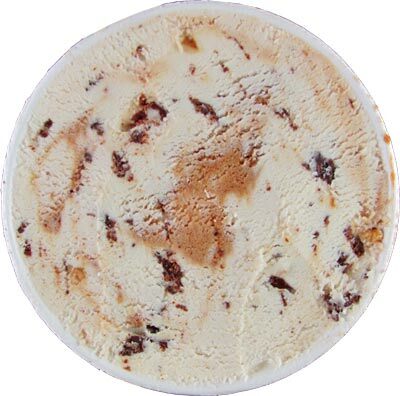 The stars here are the chili choco chips in the ice cream. These babies have a high quality dark chocolate feel about them. The difference here is they have a kick to them. The ancho chili isn't messing around one bit and I'm loving every second of them. Pierre's doesn't short you one bit because you're either getting a chunk of chocolate or toffee in every spoonful. This pint was gone before I knew it. 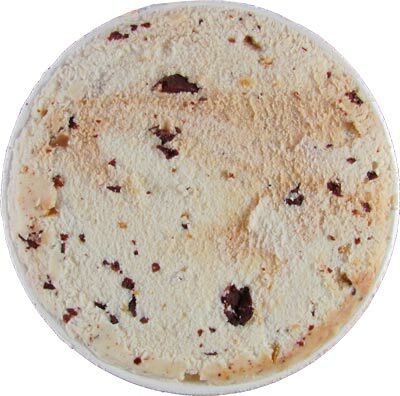 By the speed I devoured this pint, it's safe to say this is my favorite flavor I've tried all year so far and possibly in my Top 5 flavors all-time. Yeah, it's that good and I'm happy Pierre's sent 3 pints of it in total. After Hole Mole, Croppy Road has a lot to live up to. Obviously, it's the Crop Bistro's take on Rocky Road. That smokey salted caramel has me curious to say the least. Since caramel and toffee have similar qualities at times, I feel like it'll work well in that application. Mixed into chocolate, I'm not so sure. This pint looks innocent enough and it looks like Pierre's isn't shorting you on the chocolate covered marshmallow cups. However, I can't see caramel at all. There's a slight smokiness to the ice cream so at least I know it's in there some where. Okay, holy smoke. That was way too intense for me. My first spoonful didn't look like any caramel was in it but the smokiness dominated everything including the chocolate base. Let's try this again. That's an improvement, I guess. This time I could taste a bit of the chocolate base before the smoke took over. This one is just too much for me. I can barely taste the chocolate base and there's nothing caramel going on. It's just smoke, smoke and more smoke to me. Let me extract some of the marshmallow cups to at least give them a taste. Okay, these things are good. The smokiness still infiltrated them but the chocolate cover is much stronger than the base and managed to override it. The marshmallow inside is gooey but the flavor is completely irrelevant due to the coating. Oh wait there's also almonds involved, aren't there? Okay, I'm going to try to get everything on one spoon and see how that goes. Umm, that was definitely better. Surprisingly the almonds were the dominate flavor with the chocolate coating coming next with a nice dosage of smokiness. This tastes like what I'd imagine mixing a bag of smoked almonds and chocolate roasted almonds together. This one definitely isn't for me and not something I can recommend. If you've tried it, please leave a comment about your experience. As is, I'd say grab Holey Mole and pass on Croppy Road. Buy Again? Obviously to Hole Mole, I'm skeptical to try the other pints of Croppy Road in my freezer though.